Will I still be 14? I was always the youngest, it seemed. I had two older sisters...and (obviously), two older parents. I was the one who had to go to bed the earliest. I was a young freshman in high school. A new crop of students joined our class that were a year older because we had all done 7th and 8th grade in one year. And then, as I just turned 17, I went off to college. A few years later, I was the youngest grad student, and a few years after that, the youngest faculty member. I couldn’t connect to the other faculty members, who seemed old enough to be my parents. I had many students who were older than I. Sometimes I’d remember when I was 12 or so, that I took groups horseback riding in the woods or on the beach. Some of the men though they were cowboys and wanted to run their horses. I had to boss them around. I was as short as I was young. But somehow I managed those cowboys. And then I had a crisis when I turned 40. I finally morphed into someone who wasn't the youngest anymore, but was far from being the oldest. I was in kind of a la la land. And by then I had a wife and couple of young kids. So what was I, a husband/father or a kid? I was intrigued with learning about young art forms and technologies. If it was new, I wanted to have it or do it. I think I identified with these newly-born babes to see how they'd fend in a world full of seniors. When my parents retired in 1980 I had this idea that they'd be waiting for death. Nothing was further from the truth. They lived another 20–25 years, but I had trouble imagining how they could be anything but the hard working parents I had known. Then my wife’s parents retired. I got to know them pretty well because they spent a couple of years helping us add onto our home and build a studio. They were waiting for death, expecting it to knock on their door at any time. Funny thing is, due to the miracles of modern medicine, they are still kicking around in their nineties. And now I'm 68. I feel better than I have for a long time. And I don't see me as the old guy. I'm older than most, but not all, of the people I see in the course of a day. I look for young doctors who will be around when I'm too feeble to find a new one. And now I'm 68. It is hard for me to wrap my toes around that. My dad always wore a suit. When he was dying, he was looking forward to me wearing his suits. I brought some of them to Texas, but soon gave them to goodwill. I'm not the old guy in the suit. That's Mr. Rogers. And now I'm 68. I have to keep repeating that because I can't really believe it. Last year I went to my 50th high school reunion. How my classmates had aged! I was still 14. And now I'm 68. My wife tells me I’m going to live 16 more years, according to the actuaries, who now give us two more years than they did previously. That’s 84 or so. Will I still be writing these posts then? Will I still be 14? I told a friend the other night that I was going to go to Walmart to buy some canned pumpkin. She looked aghast. “Why would you go to that evil place? “Read my blog and I’ll tell you,” I said. One of the mantras in Austin, and probably elsewhere is to buy local. Because I’m a relatively new to Austin, and relatively in love with the world (Earth), I have thought this a strange love. It isn’t that I don’t want to support the wonderful local businesses. It is just that I don’t want to overlook the other guy who is on the other side of this fine planet. I do enjoy the ambience of local eateries. In fact, three times a week I go to one for breakfast. But I’m also a fan of Costco (and in St. Louis, Sams). A Chan priest in St Louis stopped at a roadside fruits to buy some peaches. Each merchant had similar peaches at different prices. The priest bought some from each. Later, his monks in the car asked him why he didn’t just buy the cheapest peaches. “They both have to make a living,” he said. I’m soon to sign-up for a Medicare drug insurance program that has Walmart and Sams as their preferred pharmacies. I’m signing up for it because It is the cheapest price. I’d rather go to Walgreens or CVS, though they aren’t local either. Our local People’s Pharmacy would be far more expensive. Some say, “Why would you buy all that stuff from China?” What I don’t think they see is that US dollars going to China eventually come back to the US and buy US products. So if you believe you are costing the US jobs, I think you have to look at that exchange more carefully. Or you might complain about the poor conditions in the factories overseas. I think the other side of the coin is that these factories provide jobs that our neighbors the wages need to survive. I come from Russian and Lebanese stock. if we go back 50 or 100 years, not many of us in Austin are native to Austin, let alone the United States, What about the rest of the world? Don’t we want to support them too? I end up buying the best products I can find at the lowest price. I make many purchases through Amazon. I like Central Market because the quality is good, the prices are reasonable (as compared to Whole Foods), and the employees are nice. And it is local, though that really makes little difference to me. They have food from all over the world, which gives me choices I wouldn’t have elsewhere. Another argument for not going local: the more interdependent we are (as if that’s a choice we can make), the less likely some country will declare war on us. The sooner we become one world the better. Our neighbors aren’t just the people next door. So Buy Local is fine, if Local means the Earth. And then, when we start trading with aliens, I hope local will include them. At one point nationalism was a bad word. Buy Local is a form of nationalism, reduced, of course to a city rather than a country. The rabbi who led yesterday’s Torah class loves technology. He said that the new iPhone is gorgeous and that he wasn’t going to get one because he didn’t want to encourage the bad labor conditions in China. I don’t think that Silas has the opportunity to work in such a factory that makes products like iPhones for the world. Yes, the factory conditions are terrible, and I think that the opportunity to work is a godsend for the people who work there—even considering their high suicide rate. Only looking at one side of the coin gives us an opinion that is skewed. Milton Friedman (video) used to talk about how these sweatshops have given countries (including the USA) the opportunity to prosper and emerge from poverty (his parents worked in such shops when they came to America). Should Apple be a better citizen of the world and insist on better working conditions? In doing so, the cost of the phone would increase and Apple may go out of business. What is the solution here? I’m sure some of the best minds are trying to figure out how to improve the conditions and still stay in business. I’m curious whether countries like China are better off with sweatshops or not. We tend to jump to conclusions and some, like the socially conscious rabbi, hesitate to support companies who use such manufacturing venues. But is our voting with our dollars helping or hurting? I feel like something gets stuck as it goes down my throat. Something I haven’t looked at for awhile. That’s what I want to write about. It may be one of those things that we don’t like to talk about. Most of the people I know are not Republicans. I feel I’m closest to the Libertarians. That may be a foolish way to vote, because it is, in most circumstances, throwing out one’s vote. In any case, that is not what I wanted to write about. Was there a connection with God picking Moses as his spokesperson and Moses not being able to speak clearly. Was clear speech actually a product of the discursive mind, and a source for our delusions. The primary delusion from clear speech is that we are understanding one another. None of these thoughts about speech were going to be my comment, though I wish they would have been. I was going to comment on the tower, and how, reaching the sky, was an icon that the people would worship instead of G_d. Someone did mention that idea. The idea of discarding our ability to communicate clearly is now more interesting to me than seeing the tower as an icon. In the same way that some dictators see literacy as a threat, so G_d might see clear speech as a threat. If another person can truly “get” us, do we really need G_d? Now I reread my first line and discover that “clear speech” might have been on my mind, where I thought it was “not being called on” that was bothering me. I was not able to speak when I was young. Here again I was not able to speak. And now G_d doesn’t want us to be able to speak. And the greatest gift of my life was not being able to speak. It made me treasure learning to express myself and communicate. 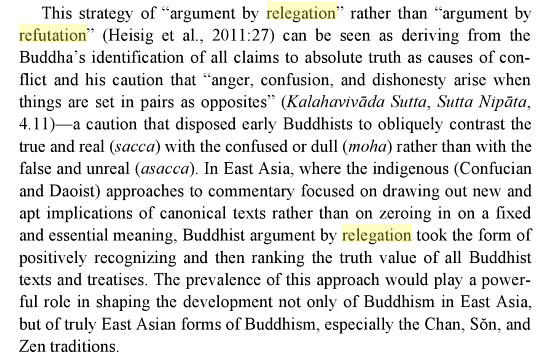 I heard Peter talk about how the Buddhists made a great leap by changing from refutation to relegation. I imagined a bigger leap that they had done. I wanted to believe that they had come to accept others as both right and equal. Rather, they said that others were right, but that their teachings were inferior to their own. I liked how a rabbi said the other day, “you know, nothing of what I teach is what I believe.” What a wild thing to say! In the end, “teachings” are not very important. They don’t really make us wiser, do they? That’s why a book with the answers to koans would not help a confused student. Supposedly there is an answer book, but no one is interested in it, because it is the searching that is essential. I think I was wrong because I wanted Peter to be saying this: that one belief is as good as another. We decide where to go on vacation. But we really can have a great time anywhere. So does it matter where we go? Does it matter where you decide to take pictures? If I had the choice of a picturesque spot or a dull spot, I’d take the dull. I like to defend the underdog. When I’m wrong, I’m the underdog. The other day I was on the phone with my insurance company. I said, “I think you are wrong…could you check.” When she checked, she said what I had suggested. But did she say that she was wrong. No. George Bernard Shaw said that you should make your first thousand mistakes as soon as you can, so you can start on your second thousand. Mistakes are how we grow. We misinterpret and then, with the help of friends, learn to interpret a little better. But not unless we open our mouths and make a fool of ourselves. Warren Buffet said that the difference between successful and very successful people is that very successful people rarely say yes. Before I remembered that quote I was going to make a case for saying “yes,” probably because I say ”yes” too often and “no” rarely. Of the three of us, I’m not about to suggest who might be successful (or not), and who might be very successful. But suppose it was $1,000,000,000 or the mystery gift. I’d take it, going with the idea that a bird in your hand is worth two in the bush. But if it was $10, I’d go for the gift, as I can afford to lose $10. And who needs a worm in their hand? Sometimes I say “yes” when buying something, and then I’d have shopper’s remorse and return it. Part of the reason that I say “yes” so often is that I’m so good at returning things. I switched majors 10 times in college, which is one reason it took me 5 1/2 years to graduate. I was given the name of “Jelly Mosley” many years ago because I changed my mind so often. I see myself as someone who really doesn’t care that much for one preference or another. In the third and last sentence, we see that in the relative world, where we are constantly fettered with the discriminating mind, we cease (with the smallest distinction) to have no preferences, and create a battleground with one side against the other. I think the ancient lesson here is that it is of less consequence whether you say “yes” or “no” than whether you say either. Your son tells you he wants to drop out of college (as I did at one point). You can say “yes” or “no,” or you can say nothing (or you can ask, “why?”). Many who go through art school don't become artists. I mentioned on Facebook that one of my former students was working as a janitor after going to the School of the Art Institute of Chicago. I was apartment hunting with my son when he was going to start studying painting and we happened upon this former student. Seeing the student sweeping up in a basement produced a sad image in my mind of my son ending up becoming a poor janitor. Buddha talked about right livelihood. Wrong livelihood encourages us to break the precepts, while right livelihood encourages one to keep them. A Buddhist should not sell liquor, weapons, or butcher animals. Even going to the tosu (toilet), if done correctly, can bring us into this moment. It doesn't matter what we do. The importance of a job isn't dependent on a pay scale or uniform. I like the fact that the set of even numbers is as big as the set of all integers. In the same way, being a janitor, which has infinite opportunities to touch sentient beings and care for sacred spaces (all spaces can be thought of as being sacred), will change the world. And... I am glad that my son didn't get chosen for such a job and instead he's an animator and professor (partly because I would hear my parents lament that he wasted his talent, partly because having an idea (janitors change the world) and believing in that idea are worlds apart). I learned recently about the idea of relegation rather than refutation. We can relegate being a janitor as an important but different job to that of being president of the US of A. Both are important jobs. Both change the world. P.S. 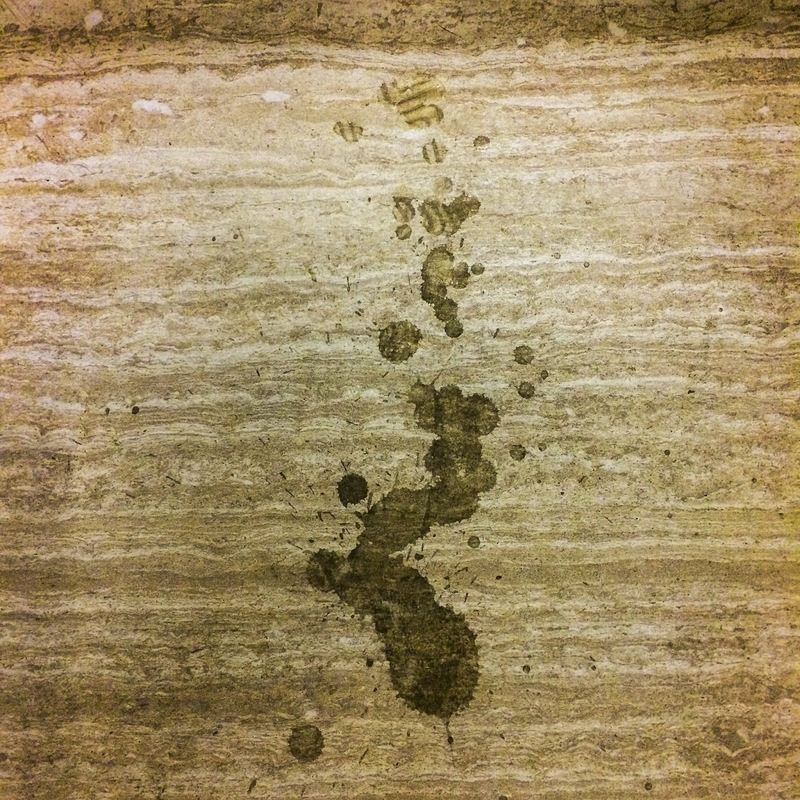 I was an unmindful janitor many moons ago in Champaign, Illinois at the Unitarian Church. I had to dust the pews, but it was so dark that no one including me could tell if I dusted or not. But when women wore white dresses, I worried. Years ago I had to get polio shots. The first one really hurt. So I told my mom that if she gave me five dollars I wouldn’t cry when I got the second one. I just focused on the money. Today I will be getting one of my fingers fixed. It doesn’t have very much strength and won’t close all the way. 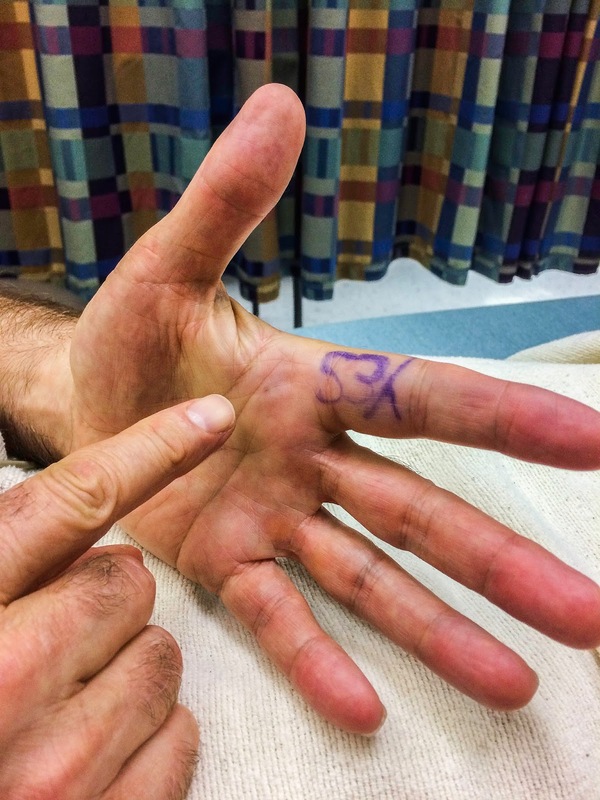 The painful part (I had my thumb fixed three years ago) is the shot to knock it out. I wish my mom would give me five dollars. Oh, mom, where are you? Maybe I should take five dollars from what I inherited from her and spend it on something I really need. When I asked her for money, she would ask if I just wanted it or whether I really needed it. I’d say that I did need it, which is probably why my nose got a little longer. I’m not sure what I’m going to get with the five dollars. I know we won’t have time to go anywhere on the way home. Maybe I’ll send it to Heifer International so someone, somewhere, will have part of a goat. I’ve been reading so much about offerings in the Torah. Yet my offerings have been so minuscule. Or I could send it to a pen pal in Kenya. For $5, he and his sister can eat very well for a day. They can get meat or fish, and a variety of other foods. I’m always surprised, when working with my trainer, how I can move one part of my body while focusing on another. For example, I can move my shoulder and my hand moves. How does it know to do that? In the same way, I will think about the five dollars when I’m getting the shot in my hand. What can I do with the five dollars to make the most difference in the world? I’ll write a little later in the day to tell what I decided. Thanks mom for going along with my scheme to feel no pain. That’s it. No pain, world gain. So I worked with my trainer this morning and we came up with an idea that I’d give $5 to the clerk at our local gelato bar and tell them that I’m paying for the next customer to come through the door…but they shouldn’t tell the customer it was me. Then I could watch their expression as they learned that their gelato was a gift. 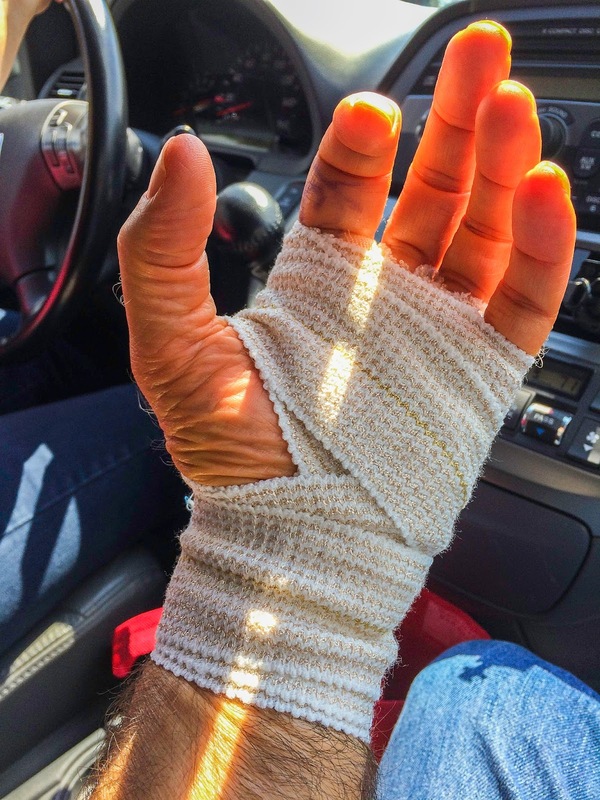 After that, I started to realize that maybe meditation was the best procedure… that I would meditate through the entire procedure, from the shot to when they put the bandage. Ok. I had the surgery and it went fine. I’m even able to type, though the operated-on-finger is numb. I didn’t think of giving away $5 nor did I meditate when I got the shot to put my hand asleep. I just breathed as deeply as I could and soon it was over. Before the shot they sprayed my hand with something that was so cold in hurt, which probably hid the pain from the shot. The surgery was easy. It just felt like someone gently touching my hand. Now back to the rest of my life. I told her that idea is just one more lens through which we can look. One more pair of eyeglasses. She disagreed, saying we might not know what that thing is, but it is, nevertheless. I remember an intro to philosophy course that I audited for awhile. The teacher went from one philosophy to the next, attempting to sell each one. Just when I was ready to buy, she went to the next…and the next…and the next. I should have realized then what I realized later that one doesn’t contradict or verify the other, but rather that they are all right. An art teacher and I were listening to Buckminster Fuller and afterwards he went up to Fuller and said that he’s been thinking of some things that are similar to what he said and could he share his ideas with him. Fuller said that he was very busy, but that he knew my teacher was right. I didn’t realize the gist of his statement until recently. How did he know? Perhaps because we are all right. I had lunch with three women today, all of whom had serious Christian backgrounds, and all of whom are straying from the gospel. I got a sense that their new beliefs were really no different than their old beliefs. Their attachment to their beliefs was the same. What is right? If all the comic books say the same thing, we can think that they are all right. But suppose they say different things. Perhaps one says that the world is 6000-10,000 years old and the other says it is 4.5 billion years old. Can both be right? Most intelligent people would say no, they both can’t be right. So they ascribe to one view or the other. But another way to look at is that they are systems for viewing reality based on assumptions. The Intelligent Design people say that the Bible is factual. Their conclusions follow that assumption. Others have different assumptions. Geologists assume that carbon dating gives reliable information. That assumption gives another date for creation. We can choose this theory or that, but we should let the others have their view. Where this gets tough is when conclusions start to cause wars, like when Hitler decided that Aryans should live and others should die. What do we do if we don’t agree with that view? I think in the same way that we should let our neighbor alone as long as she doesn’t interfere with our lives or property, we can allow people to have their Aryan stories until they start to make it impossible for non-Aryans to live with their stories. I remember nothing about it, other than the title of the seminar. When meditating, one of my gauges about where I am is how startling it is when I hear the bell at the end of the session. If I’m startled I take that as a sign that I was off in la la land. If, on the other hand, I’m waiting for the bell and the ringing doesn’t phase me at all, then I know I’m looking out for the bell rather than paying attention. I’m not “here now.” I am for the middle way. It doesn’t catch me at one extreme or the other. The key, here, is paying attention. One of the neat things about psychotherapy is that you have someone (when it is good) that is paying attention to you. Not someone who wants to tell you what you should do. Not someone who is worried whether or not their car will start. But someone who is listening to you. Someone who is there with you. Maybe I should capitalize “YOU” because they aren’t just listening to another person, but they are giving you permission to be YOU. Why is that so difficult for us to do for ourselves? Being alive, really alive, is all about paying attention. I wish that we didn’t have the word “meditating” and instead we had the word “attending.” The therapist listens to the other. Can we listen to ourselves, focusing on who we are—who we really are? Can we gently hold ourselves in our arms, lovingly, as we watch our breath go in and out? Can we watch thoughts come and go, without beating ourselves up for thinking this or that, or for thinking at all? Try that. One breath where you pay attention to the breath going in and out. Breath in and notice its distinct taste or smell. Feel as it cools the area below you nose. Hear the sound of breath coming it, and the breath going out. Now look at your hand. Don’t name it hand. Just look at its color, its texture, its variations, and its repetitions. That is what “Be Here Now” might have been about. I’ve been procrastinating writing about meditation. I usually don’t know what I’m going to write when I choose a topic. What I say or think is often a surprise for me. What do I really think about this or that? Usually my thoughts are pretty limited. When I think of the word “meditation” or whatever, I’ll usually have one thought or image. Maybe I’ll think about sitting last night and how afterwards I lied when I asked everyone to say in one word how their meditation went. I said “busy” and actually I was preoccupied with a pain in my leg. It takes a lot of strength to sit up on a chair. I sit on the edge of the chair and try to sit so that I’m neither leaning backwards or forward. My left leg seems to hurt when I’m leaning one way or the other. I decided to work on counting my breaths to ten, and then starting again. Sometimes I would get distracted and start thinking about things, then I would feel my leg, and then go back to the counting. I’m usually tired when I start sitting, but more rested at the end. I remember hoping that the time would end. I don’t do that so much anymore. Sometimes my eyes were closed, and sometimes they were open a little. Am I convinced that meditation is a cure-all for my ills or the ills of the world? No! Am I more alive when I’m meditating that when I’m in a busy environment. Yes. Sometimes I think that if I had an hour to live then I’d want to sit. Some of the people in the group used “peaceful” as their word to describe their sitting. I will write more in the future about this curious activity. In a Zen temple, it is so public and so private at once. I like that dichotomy. My walking partner, Michael, and I were discussing the other day, “Does it Matter.” My uncle Ed, the most accomplished scientist I know, (kindly) asks me this in response to my inane questions. Both arguments probably have a lot of validity, but we probably are on one side of the fence or the other. Ed might respond that it doesn’t matter which one you choose. I think holding both views, one in each hand (lightly), might be the way to go. Michael’s view would keep us humble. We wouldn’t take ourselves too seriously. We would enjoy life. My view, shared by the Butterfly, might suggest that we have a very big purpose in the universe. It might constitute significant motivation for changing the world. This suggests you only live once, and so you should just enjoy life. And yet Omar Khayyam himself was a contradiction because he wrote this and other poems. Why didn’t he just drink? “Adonai, what are we, that You have regard for us? What are we, that You are mindful of us? This is a point for Omar Khayyam and Michael. We are only a blade of grass. Is the Butterfly Effect a pipe dream? Is it one of those theories that may be true, but in practice doesn’t mean anything. The thought of one Ebola germ lurking on a doorknob just jumped into my head. That germ could board a plane and travel to Dallas, Texas, and cause schools to be cancelled and fear to permeate a nation. What about a smile at the check-out counter. Imagine if you could “make someone’s day” by smiling at them, and then they smile at others and so on. Did that smile make a difference? I think so. I wish I could have remembered some of the inane questions I asked Ed. Maybe they do make a difference. And maybe he wasn’t making a judgement, but just wondering why my resources were directed toward that problem and not one that mattered more. Someone was telling me the other day that some people are lazy, and that is why they are poor. She's run in over 50 marathons and her father is an engineer who makes telescope lenses for major observatories. There was a forest fire and all the animals left. 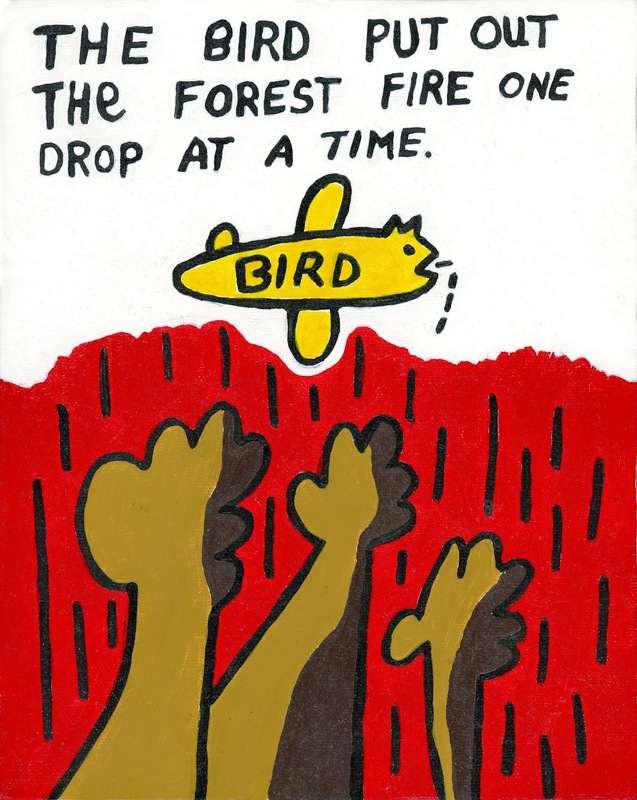 One bird, however, kept flying back to the forest, with one drop of water in its beak. The other animals watched their home burn. The one bird however, when asked what it was doing, explained that it was putting out the fire, drop by drop. The other animals laughed at the stupid bird. As the fire became bigger and the bird became exhausted it could fly no longer. Finally it fell into the fire. There is a third (ancient) story of the Myth of Sisyphus that Albert Camus appropriates. Sisyphus pleaded to the Gods to let him come down from the heavens for a short visit with his wife. Breaking his promise, he refused to return, so the Gods sentenced him to roll a boulder up a hill each day, only for the boulder to roll back down at the end of the day. None of these stories are about laziness. All three characters have futile jobs. And none of them are lazy. Sisyphus, for Camus, emulates our own lives. We take one step forward, and then one step backward, over and over again. And yet we persist, dropping water on the fire or throwing sand dollars back into the ocean. Why do some watch their homes burn, and others try to put out the fire? We could view our lives as futile. The best that can happen could be what my father wished for: that he wouldn't die of anything serious. I'm not sure why some can run marathons and others get tired just thinking about it. It wasn't, necessarily, that it came easy. Even Moses, picked by G_d to be his spokesman, had trouble speaking. Yet his words shaped most of our lives in one way or another. “Bah humbug,” said Ebinizer Scrooge. Living in a city is a precondition for being mugged. Is it then just a matter of Russian Roulette? I used to marvel at the bell curves that are produced by the random distribution of balls falling through an obstruction. One could take the bell curve as an expression of determinism. With enough coin flips, half will be heads and half will be tails. But each individual coin could be either, even if the ten flips previous were heads. Does the coin has free will? Statistics is weird that way. It doesn’t tell how one person, or even one subgroup will behave. Belonging to a college club will improve your grades and your persistence at college. But if you are African-American, at least at the college I was at, it would have the opposite effect. Statistics doesn’t tell us about the behavior of the individual, only about the behavior of the conglomerate. So does the individual mistakenly believe that they are free, when really they are part of a grand plan? Or is he able to buck the system? Is religion (prayer, for example) a waste of time given that the master plan produces a bell curve? What do you think? I commented on Facebook that I wanted to have 2000 friends. So I’ve been befriending all those numerous and wondrous beings that have at least 100 friends in common with me. Joan wrote Xox and I replied XOX (I’m lucky that my wife, having talked to me for almost 50 years, won’t read much of my daily blabber.) Joan asked me to do a set design for her play. As I read the script, I realized that we had both had the same PE teacher in high school (Sanford Patlak), and we didn’t even know that we had gone to the same school. Then Pam wrote: We do not share 100 mutual friends, but of those we do share, they are among the most talented in STL. I'd love to get them all in the same room. These new friends are from all over the world. They are such interesting people. Maybe I’ll get to meet some of them in person someday. Like the female Kim Mosley in Hawaii. She is such a fine artist, who now seems to be involved with acting for films. My neighbor doesn’t want a lot of friends because every year he gives a $1 for each friend he has on Facebook, and he says that many friends would cost him too much money. I’ve never worked well within a vacuum. I love to get feedback on my work. Sometimes people comment. Sometimes they just press the like button. One person told me he hated my work. Donna said the other night that her painting isn’t complete until someone looked at it. I’ve heard actors say this, but not a painter. In fact, I went every night to the play with my set. It was amazing how it was a different play each night, depending on the audience. I have one plea: please don’t assume that people can read your mind. They are interested in what you think, especially if it is positive or at least useful. So speak up. Silence is only golden if you have nothing to say. But you do, so please speak up. Tell your friends you love them, or whatever. When people post idiotic stuff, tell them it is idiotic… and why. What an opportunity we have for the exchange of ideas and feelings. In a sense I have no right to say “poor me” or to even say anything to others who say, “poor me.” I’ve had so many privileges. I can’t start to imagine what my life would have been like if things had been different. Some of the privileges were a birthright, some were earned, and others were a gift of the stars. I’ve had challenges too, but minuscule compared to some. When things weren’t going well there was an exercise we did at the college where I taught. It was a reframing operation—we took the threats and morphed them into opportunities. For example, because of climate change, one might not be able to grow figs any more. Some would be “down” calling the glass half empty, and lament about the “good old days.” Others would see this as an opportunity for change. They could grow something else, move to a different climate, stop growing altogether or go back to school and learn to acquire a new vocation. This is what we call “fresh air.” Complaining just gets us deeper in quick sand. Opportuning (just made up that word) does the opposite. The glass is now half full. Here’s another example: my car won’t start so I can’t drive to the grocery store. Opportuning, I realize I can walk to the store and on the way, say hi to the neighbors who are out on their sidewalk. Different framing. I think sometimes about people I’ve known who have taken their lives. Their lives had challenges to be sure, but by no means (as seen from the outside) as dire as many others. Some will say that they were clinically depressed. I suspect they were right in some cases. But I wonder what might have been different if they had learned the art of opportuning. In my search for what should be included in our education, opportuning certainly should be included. It takes us from being victims to being survivors. No, you aren’t an orphan! Silas, my friend in Kenya, wrote that he's now an orphan. I've written him a couple of times telling him that he is not. I think, probably incorrectly, of an orphan as one who is alone in the world, without the memories of parents. This is probably wrong according the dictionary definition. But what did Webster know? I had imagined that when my parents died that I’d be an orphan. I would finally be free of their bonds. They would stop telling me what to do. No such luck. Their voices are even stronger because I can not say no. Or at least they pretend not to hear me. In fact, I read that Baby Boomers can't grow up until their parents die. “Do parents really die?” this Baby Boomer asks. Why are their voices so strong? First, there is the issue that you don’t want to “kick someone when they are down.” And then there is the power of someone who doesn’t defend themselves. My father tells me to do this or that. I can’t argue with him, because, in my mind, he keeps repeating his plea. In John 14:18 we read “I will not leave you as orphans; I will come to you.” Essentially this says that there are no orphans. As a friend in college once said to me, “No matter what, God will always love you.” You aren’t alone. You not only have the memories of your parents, but you have reminders of their love in other humans, animals, plants, and even in inorganic matter. Superman was shot from a distant planet as a baby. He was an orphan, perhaps? But when? Was it when the rocket took off? Was it when the rocket left the atmosphere of Krypton? Was it when the rocket landed on Earth? Or was it when Krypton disintegrated, moments after lift off? He was an orphan, perhaps, until he found the icicle that contained his history. Then he was no longer alone. I’m finding, in reading the Torah, much about my parents and how they thought. But even more so, about their parents and their parents, ad infinitum. Roots was an effort to find out who you really were. We learned the words “nature vs. nurture” in school. What we might not have learned was that “nurture” wasn’t just the people who played a role in our upbringing, but those who played a role in their upbringing…back to the beginning (if there was such a thing). Silas has a rich legacy. Though his parents aren’t with him as they once were, they are still every bit a part of him. P.S. As is often the case, my wife tells me at dinner how I'm all wet with my thinking. In this case, she told me that the idea of orphans is just for children. Adults don't become orphans when their parents die. Wikipedia says the same, that “...orphans are children whose parents have died.” Sometimes kids are counted as orphans now if one of their parents have died. Last night I completed my Torah Drawing (http://kenshinsbarmitzvah.blogspot.com/2014/10/parshat-bamidbar-4th-portion-numbers-31.html) and I showed it to my wife of 45 years. I just wrote to my son-in-law that I took off my complaint bracelet last night and now am writing this complaint about my wife. Given enough time, we’ll complain about everything. When people start meditating, they worry that they aren’t doing it right. And, of course, that worry becomes a great object for meditation. It is an opportunity how we take a perfectly peaceful and non-harmful act, and convert it into a painful experience. When we say something, we don’t worry whether it is the best thing we ever said. We know that sometimes we’ll hit the mark, and sometimes we don’t. Art students complain when they graduate that they have no audience for their art. I feel blessed to be living in an age when I have so many outlets. And I get a sense sometimes that I’m touching someone. What more could someone ask for? In the meantime, I feel like I’m a greyhound running after a hare that is just a few inches from my nose. That is the game. Catching the hare would be a grave disappointment. 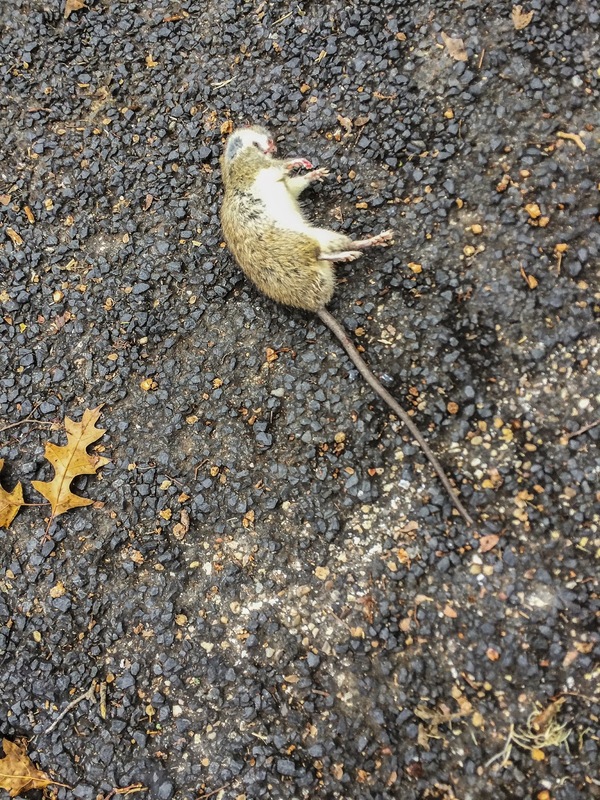 It probably is the same hare that’s been used all season and is full of maggots. Will Bowen has been envisioning a “Complaint Free World.” I’ve been wearing his bracelet for a few years now, and have never stopped complaining. But I see the point. Rather that bitching that the world is not how you’d like it to be, it is a matter of smelling the roses. Enjoy the world for how it is. I buy a new toaster and it breaks in less than a year. I return it, only to be told by the manager at K-Mart, “You don’t expect a toaster to last more than a year, do you?” I asked to speak to his superior and quickly get a new toaster. A Buddhist temple may throw you out if you speak against the temple. So what do you do when you disagree? Or when you see injustice? In Japan, you don’t express your views until you know what the others believe. And you always vote as your parents vote. In Burma, the kids bow every day to their teachers, to their parents, and to monks. We face an interesting dilemma when we see an injustice and we feel compelled to make waves. As a nation, we are complainers. We didn’t like the rules in England, so we came to America. And when the rules followed, we had a tea party. More complaining. That’s who we are. When we see rules that hurt people, we want to complain. When we buy a lemon, we want to complain. Yet Bodhidharma said that suffering injustice is one of the four important Buddhist practices. Are we between a rock and a hard place? Look at all the freedom that has been created through complaining. Especially now, with the advent of the Internet. Look at the power of bad reviews on Amazon. We have the expression “go with the flow” and we relish the idea of flow in positive psychology ”flow is characterized by complete absorption in what one does.” This sounds like mindfulness. Is this the antithesis to complaining? Or is complaining actually part of the flow? This article, The Mind is like a Hammer, beautifully describes how in Zen, the point is not to change the mind, but rather to discover who is holding the hammer…who is complaining. When injustices appear to be about us, we reinforce a false dualism of ourself and the other. When we look at the problem from everywhere, we aren’t saying anymore, “I was wronged” but rather ”We were wronged” where there is no distinction between us and them, where “we” is the whole. Love has now replaced hate and anger. Change as growth can now occur. Is inheriting good or bad karma similar to the idea of original sin? I'm not a believer in either original sin or karma...I don't think. But I'll give this a try. Like a bad scientist who decides what he'd like to prove before he does the experiment, I will look at this. But first there is a difference in how Buddhists and Judeo-Christians see birth. 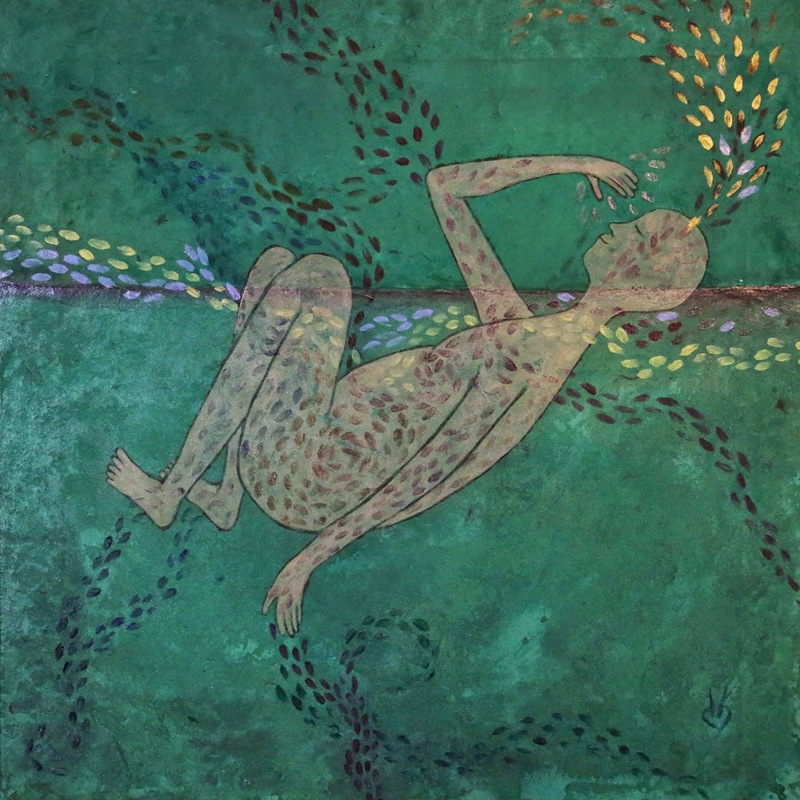 I'm looking at a painting by Donna Birdwell that shows a woman floating in the water in an almost embryonic position. There is a path of petals on the surface of the water, and more petals rising from the woman as she breathes. Dark petals are coming from her feet and hands. These petals tell me where she came from, while the light petals show where she is going. The distinction of how birth is seen in Buddhism and Judeo-Christian belief is critical here. In Buddhism there is no birth and death, nor any beginning or end. Our lives, though they appear to many as linear, are more like a circle or a spiral where “what goes around comes around. Though with each “rebirth” we get a fresh start, we inherit much. Call this karma if you want. I read some years ago that someone taught planarian to avoid light (see: http://community.dur.ac.uk/robert.kentridge/bpp2mem1.html) and then ground up the planarian and fed it to little ones and then the fed planarian could learn faster to respond to the light. So it is with karma. Like height needed for basketballs or big brains needed in physics, we inherit karma. It is with what we start. If we were bad in the past we'd have a lot of stale stick stuff in us and we'd have to work hard to clean it up. In the karma model, you could start as one in previous lives had done much harm. This is different existentially from one who is a sinner. In the Judeo-Christian baby, the kid is off on the wrong track from the get go, while the Buddhist Babe is born with Buddha nature, and yet may need to work through a karmic legacy to retrieve that innocence. The baby in the painting floats in the water. There is a circle formed with her arm and head. She will wake up and see what challenges arise for her. She is naked with only the inheritance of who she really is—her Buddha nature. Her karmic legacy is what she carried from her previous life. It is not who she is, but rather that the opportunities and challenges she will meet. I’m not sure when I started to return things to stores that didn’t work. “Buyers remorse’ for me is most often the realization that I'll need to spend time returning the item. My family was Jewish, whatever that might mean. My parents and sisters never returned things. My mom was a smart shopper. She’d buy the best and keep it forever. We still have her lawn chairs, which are over 50 years old. My wife replaced the canvas seats about 30 years ago. They will probably last another 50 years if someone is wise enough not to sell them for scrap aluminum. My grandfather was the only cheap one I knew. His job as a kid in Russia was to stand by the scale in his father’s grain business and make sure no one put their foot on the scale. When he came to America he would buy day-old bread. And he’d fill up gas cans in Portland and drive them to the beach where gas was more expensive. Yes, I know, it was stupid. He was generous to his children and even strangers in supporting their education, even though he only had an eighth-grade education. My father was a lawyer, and could figure his clients way out of any mess. He barely ever spent money. He’d complain when my mom would buy me books. Was he cheap? I think my sisters would say he was. After my mom died, he wouldn’t buy any new clothes. He did join Costco and bought a few things he probably didn't need. Perhaps that was his mid-life crisis occurring in his 80s. But his needs and interests were about things but about ideas. He was savvy in business, with most of his life owning linen stores. The last 25 years of his life he gave free legal advice. He never was ambitious about making money. And he didn’t like to talk about money. He got mad at me because when the ambulance was taking him to the hospice to die, I asked the EMT what the starting salary was for EMTs. I was interested for our college students who always are looking for ways of making a living. My dad scolded me on his deathbed and said it wasn’t polite. I had a student who was working in some kind of business when she said to a customer that he was trying to “Jew” the business out of some money. She was fired on the spot. Yesterday, I was talking to one of my wife’s friends about returning things, and she started talking about how it was my being Jewish showing up. She felt that Jews are cheap and therefore like to return things. I felt hurt by her stereotyping. It seems to be a prevalent perception the Jews are cheap. My Catholic neighbor growing up, who I played with often, when he was teaching economics at the Kansas University, gave an annual lecture, The Art and Joy of Cut-Rate Living. Perhaps he was an influence, though I don’t remember any money dealings with him. I’m near the end of Sopranos now, and a little Jewish stereotyping has just reared its ugly head in these clips. The joke in the second clip is about Jews by a Jew. I understand that Christians weren’t allowed by the church to do money lending. Christ threw the money lenders out of the temple. Some say now that the issue was not the money lending itself, but the fact that they were doing it in the temple. In any case, Jews were restricted from engaging in many occupations, so money lending became one occupation that they could engage in. Are Jews Cheap & Selfish? It feels like an injustice to be stereotyped. If returning what you don’t like or what doesn’t work is being a jerk, I hope my friends tell me. But the suggestion that you do that because you are Jewish seems offensive. The subtext I hear (and probably not intended) is one of being a dirty Jew. As to Jews being “cheap,” here’s an interesting article, “Muslims ‘Give Most to Charity,’…” that suggests that Muslims give the most, then Jews, and then Christians.